I was beating my head all weekend trying to figure out how Apple could sell its much anticipated new iPad Mini for a competitive price without compromising the higher end price of the new iPod Touch line. Well. as in all things, the solution is simple. Ridiculously simple actually. Here is my theory: the iPad Mini will indeed be a consumption device but more than that it will be purely an Apple consumption device. 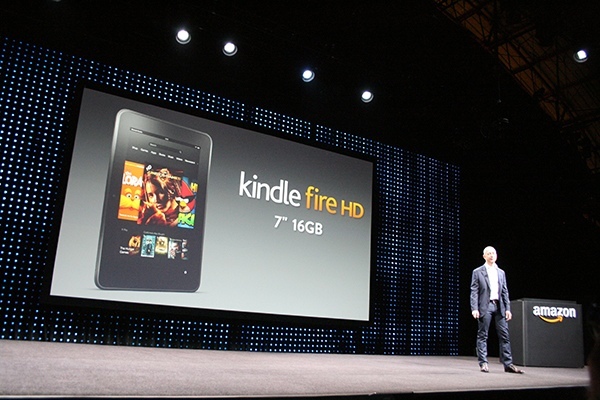 Similar to the strong ties Amazon has achieved between their Kindle line and Amazon products, the iPad Mini will be used to purchase Movies, Music, newly-defined Apps and Games only through ITunes. Additionally, books will be available via only via iBooks and Podcasts via the Podcast App. And there you have it in a nutshell. Yes, you will see the popular apps like Facebook and Twitter; after all, they have established a strong partnership with Apple. But, at the end of the day, this iPad Mini will be an aggressive move to push all of Apple’s products, like iBooks, to the forefront. The iPad Mini, at a lower cost than its full-sized parent, will be the vehicle to drive sales of media, music, books and apps through the roof. What do you think? Does this theory sit well with you? Please share your comments. 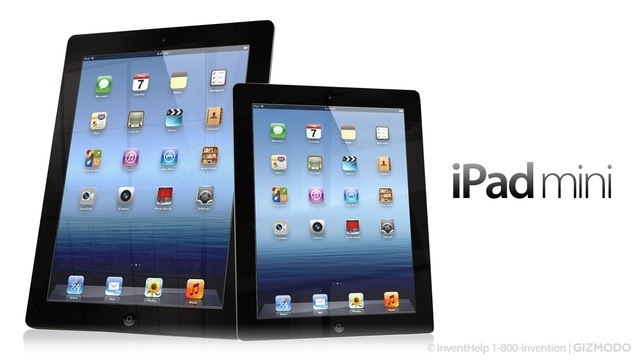 The iPad Mini – Is It Fact Or Fiction? So, how about that iPad Mini everyone? Will we actually see this gizmo or is it truly a figment of our imagination? Since the beginning of time – or so it seemed – the tech community went on some sort of PR binge purporting the existence of the iPad Mini. It was a “done deal” they all said. Has to happen, will happen, must happen, better happen – the rumours would not stop. Sort of like a train out of control. And then the iPhone 5 event came and went with not a mention, not a hint that there would be another event devoted to the release of the iPad Mini. Now, if they had not have hyped their recently released new iPod line at their September iPhone 5th event, I would have assumed that they were keeping the iPad Mini news under wraps until October. I mean, if they devoted time to speak about their new iPod Touch and Nano line, even though they were not to be released until October, did it make sense that they would not have mentioned the iPad Mini? And don’t even get me started on the prices. The new iPod Touch prices have pretty much locked out any room for an iPad Mini. Yes, I am afraid that all the “Unofficial Reports” are now amounting to delusional hearsay and speculation. It’s in production alright – it’s in production in everyone’s head. Way back when on this little old blog, I predicted that such a product did not exist, except in the minds of the consumers who wanted it to exist. Apple already had their perfectly proportioned, best-selling iPad – why would they break their back trying to develop a smaller one? For what reason? With the release of the larger iPhone and iPod Touch, Apple basically made a statement: this is what we do, these are the sizes we believe in and we are rocking the sales market. It is now October 10th, the supposed release date of invitations to the iPad Mini event and – still – not a mention, not a hint, not a gasp that Apple is ready to officially launch the iPad Mini this month – if ever. Personally, I was welcoming the iPad Mini – not for myself but for my grandchildren. It is the perfect size for kids. Although most kids still like the convenience and portability of the iPod Touch, many would drool over a mini iPad. It is light, compact and ideal for movie viewing, gaming and browsing. 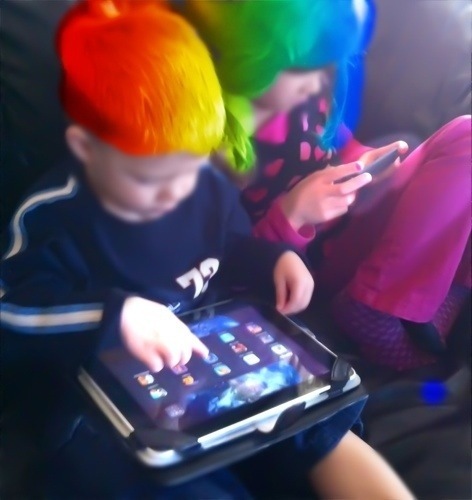 And their smaller fingers and precise eyesight would navigate the apps with seamless dexterity. This is a bad call, I feel, on Apple’s part. And I can’t believe I just wrote that. Boy, that leaves a bad taste in my mouth. Say it isn’t so, Apple. If not, there will be many Kindles under my Christmas trees this year. With the release of it’s new Kindle products this afternoon, Amazon proved why it has been such a strong and steady force in the technological realm. And, it makes us wonder what Apple has in store for us on September 12th. Will it out-Amazon Amazon, especially with consumer-friendly prices? Do you see what I mean? How ludicrous are the rumors that Apple is going to release a smaller iPad this Fall while Amazon is going to release a larger version of its Kindle device? I really think the world has gone mad – well, the tech world most definitely! The new, smaller iPad will have a 7.85-inch screen diagonal and will cost “significantly less” than the “regular” iPad, which starts at $499. It’s as if no one can make up their mind anymore about what size will work or not so, hey, why not just produce a bunch of tablet sizes and see which one the consumers like the most? Well, I love my iPad and I have no desire for anything smaller. Yes, it could be cheaper but, like all things, the price will come down over time. Remember those ginormous TVs and the ginormous cost associated with these products? The prices lowered over time. 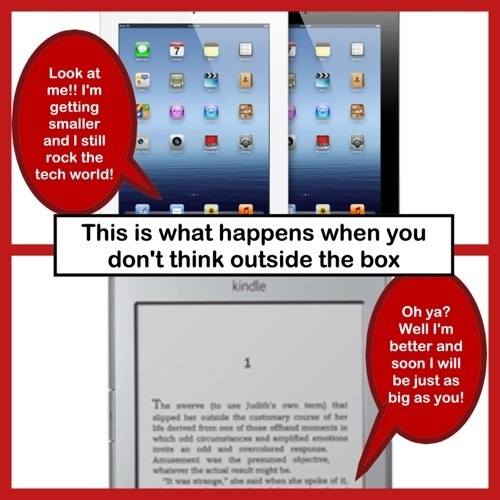 And this is exactly what will happen with the iPad and other technological devices. As they become more common place in the home, business and education sector, the prices will become less threatening to the average consumer. So, an iPad Mini at a lower price will be meaningless. But a full-size iPad at a lower price – now that’s a different story. Do you agree or disagree? I may be wrong and you may be right but we can agree to disagree, right?